Questions about Elan Lighting 83423? 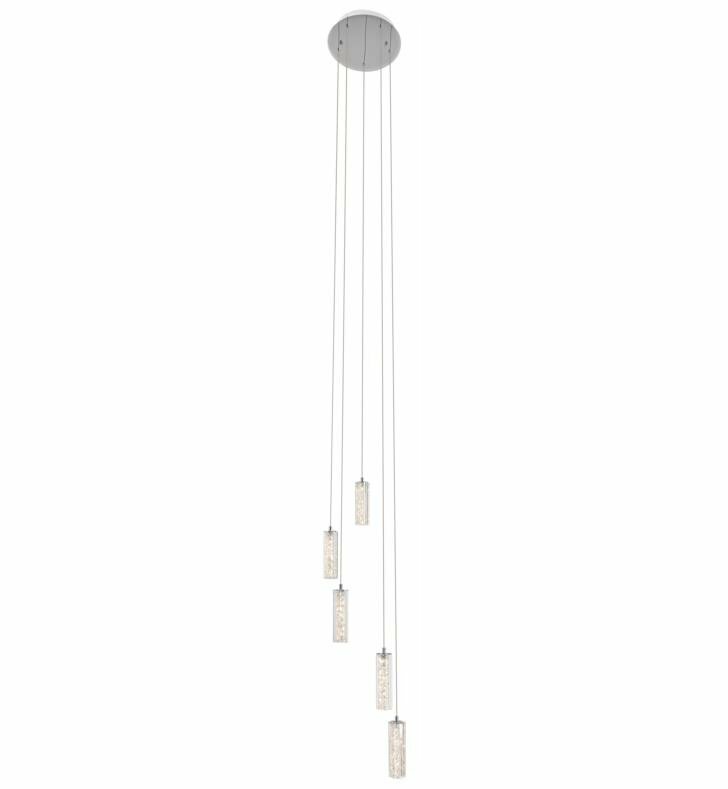 For a huge dose of contemporary sparkle, look no further than this Elan Neruda 5 light spiral pendant. Its slender style features faceted Crystal Gems Encased in Clear Crystal Casings and paired with a Chrome finish. Uses integrated dimmable warm white LED light. You can adjust the hanging height of the fixture. W 12" x H 6 1/4"